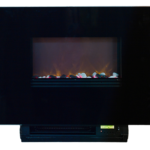 Widney’s electric fires have evolved from a small range of traditionally-styled focal point fires. Now, the diverse offering incorporates contemporary landscape styles with loose fuel beds; and glass-fronted, wall-mounted or inset designs. Standard electric fire specification is 1.5kW output, and product designs meet the latest EU ECO Design Directive. Widney also produces electric engines only – which are supplied to major customers for incorporation into their own designed frame and fascia’s. Of course, this is only available once testing has been completed to ensure independently-styled frames do not impact upon performance and safety of our products. 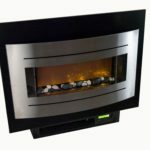 Stylish landscape-style inset or wall mount fire featuring realistic flame effect and pebble fuel bed. A sleek, landscape-style inset featuring a realistic flame effect and pebble fuel bed.